Now make sure your employees stay healthy and protected from waterborne diseases with Aquaguard Hot & Cold (RO+UV) Water Purifier. 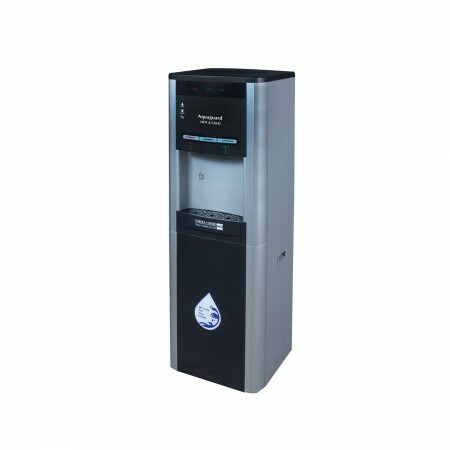 With features like hot, cold and normal water, this purifier delivers superior quality and high volume even at low pressure. 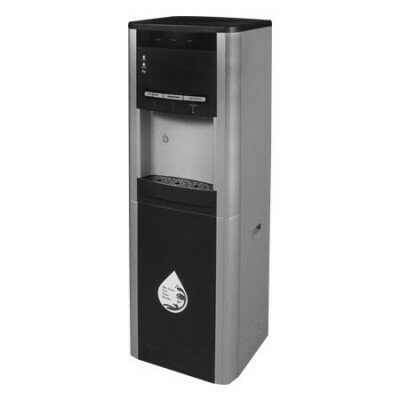 Specifically designed for use where reverse osmosis filtration is preferred. Superior quality and safety are guaranteed in this clever, high performing machine. 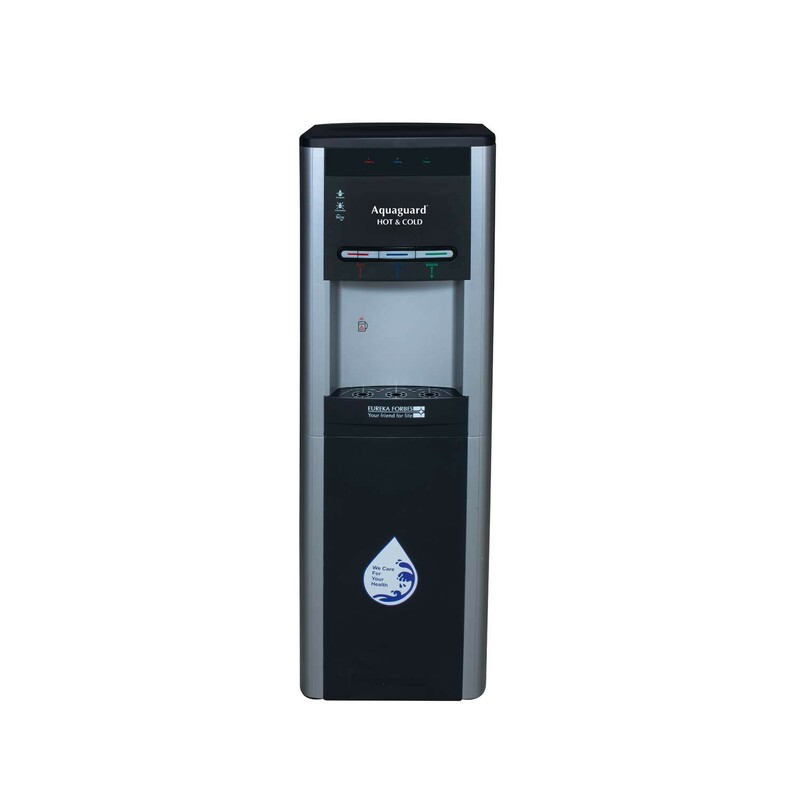 Aquaguard Hot & Cold (RO+UV) Water Purifier has 3 core technologies which mean that what you get out of your machine is much better than what goes in. 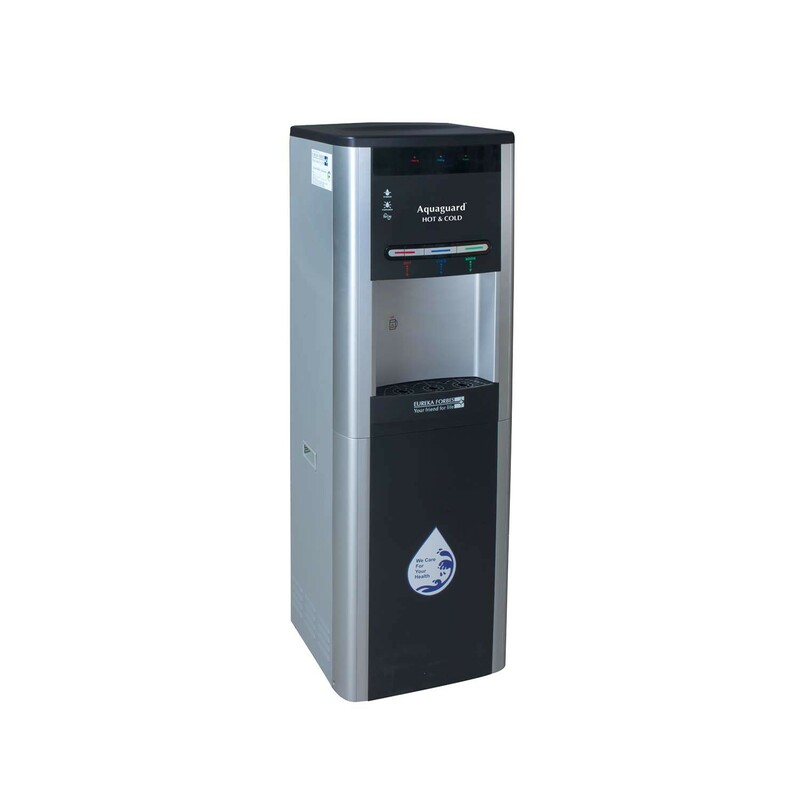 Reverse Osmosis is a membrane based filtration technology which helps in reducing the TDS of the water. This stage also removes fluoride and other water-borne tastes and odours. It purifies the water and also helps in retaining the natural taste of water." The Ultra Violet lamp inside the tank purifies the water and wipe out harmful viruses and bacteria such as E.Coli, Salmonella and Hepatitis to guarantee a safe, clean drink"
The outer area of the product is protected with BioCote. BioCote is an anti-microbial that inhibits the growth of micro-organisms on the product. As another layer of defense, it keeps the dispensing area free of bacteria.